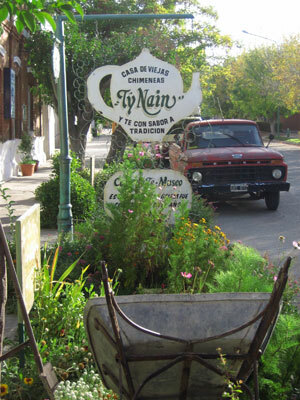 The small Welsh town of Gaiman is a green oasis and beautiful getaway from the semi-arid climates of eastern Patagonia. 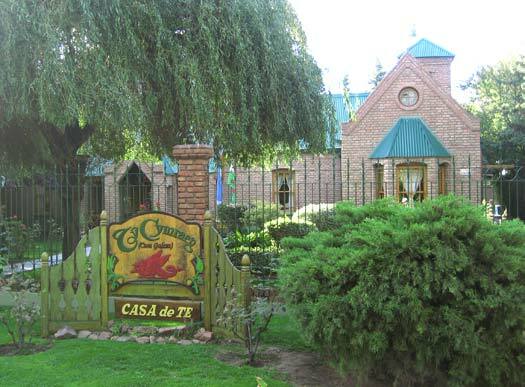 It sits in a valley along the Chubut River and the charming town is lined with plenty of trees and flowers. I found the foliage added a lovely appeal to Gaiman, but that is not the only memory I took away with me. 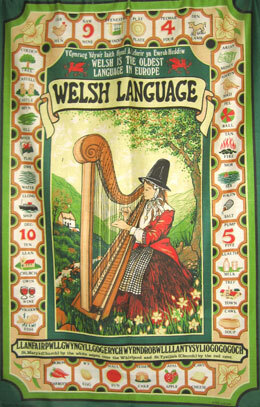 The town is crawling with Welsh culture and traditions, among which are the tea houses. Gaiman is a town rich in history that dates back to their original colonization in 1865. This history has been held intact with the old buildings, typical chapels, and Welsh-style homes. A quick stroll through town and I felt like I had walked through a time machine and warped into the past. Flourishing gardens and parks provided the perfect gathering grounds for all of the locals picnicking on the river. It was the perfect image of a lazy Sunday evening in an enchanting village. After making the town loop and admiring all of the greenery, the tea houses started calling, and my stomach responded with growls of hunger. Stories I had heard of the tea houses always highlighted the incredible cakes and pastries that accompanied the tea; and these stories were ones my sweet tooth did not easily forget. There were numerous tea houses that we were able to choose from, all of which had their own appeal. But finally we decided on Ty Nain across from the beautiful town square. The building was one of the older ones whose character and history was emphasized with years of ivy that crawled up the side of the home. Other flowers and plants welcomed us from the sidewalk in front, as did the friendly woman awaiting her new visitors behind the door. 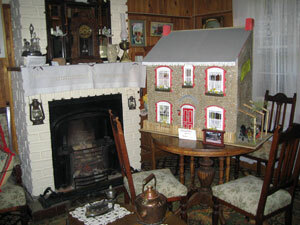 The tea house doubled as a museum where all kinds of artifacts and photos had been preserved and set up on display. Antique lamps, rifles, and dolls were just a few of the items that added to the traditional allure. The family working there was happy to share a bit of their history with us as we inquired about the various items scattered within the wooden cottage walls, and they validated their Welsh roots with a complete family tree dating back to the first ships and their first ancestors to arrive in Argentina. We occupied our time with the museum until we saw a kettle and tray of tasty sweets being brought out. Within seconds we were all seated around the table and drooling over the desserts that I was sure we would never be able to finish. 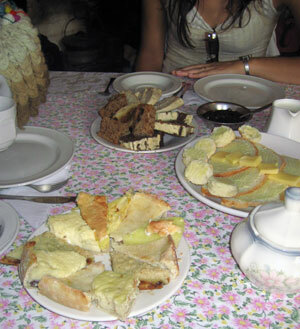 After serving teas all around we dug into the delicious cakes, pies, and breads that were accompanied with jams and dulce de leche. The famous Torta Galesa (Welsh cake) was one that I had to try among the others due to our surroundings, but eventually I seemed to find an excuse to sample all of them. An hour later we all had smiles stretching ear to ear, a sure sign of our tea time approval – and possibly a sugar high. The plates that had been swarming with desserts were practically licked clean and after numerous refills of our kettle, we finally decided to head back out into the lush gardens. Another stroll through town was in order after our gluttonous binge. Eventually we jumped back on a bus heading back toward Trelew and then Puerto Madryn where most begin their Gaiman adventures. Tours from Puerto Madryn are commonly available for those wanting to indulge in the history and cuisine of the Welsh; but an 18 peso round trip ride from the bus terminal will get you there just as quick and on half the budget. This page rendered in 0.694 seconds.